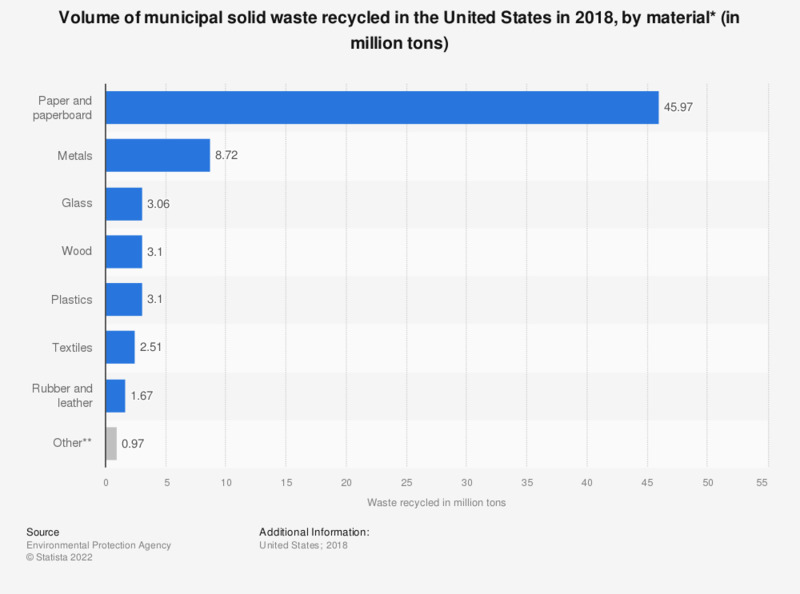 This statistic represents the amount of materials that are recovered from the municipal waste stream in the United States in 2015, based on type of material. During this year, about 1.51 million tons of rubber and leather materials were recovered from the municipal waste stream. The most preferred component of the U.S. waste management hierarchy is source reduction and reuse.